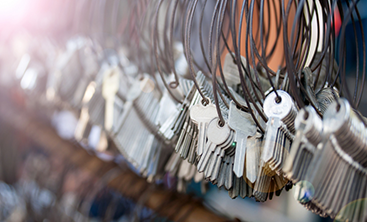 Before we dive into directly answering whether or not you need a home security system, monitored or not, there are several factors to discuss that could be impacting your home’s security. Ignoring weather factors, the most prevalent threat to the average home is a break-in and is, thankfully, something that can more easily be prevented than, say, damage from a hurricane. According to the U.S. Department of Justice, more than 3.7 million households are broken into each year. That’s just homes; the number doesn’t include businesses. Now, before you start worrying, there are a great deal of factors that go into play here, and a lot of them are within your power to change. Proximity of other people – this includes passing traffic, neighbors, people and dogs at home, businesses nearby, and security cameras. Lines of sight – both how easily access points to the home can be seen by neighbors and passerby as well as how many potential escape routes are available. Presence of security – and no, not just a home security system, but other means of protecting a home as well. 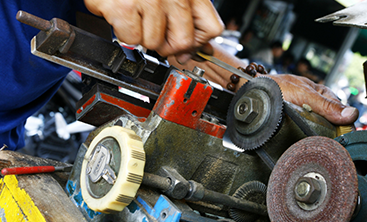 This includes door and window locks as well as whether or not your home is in good repair. The neighborhood – and no, you don’t necessarily need to move to a gated community for added protection. However, the amount of space between houses and the remoteness of the community can affect burglary rates. For those interested in the full 64-page study, you can find it on ResearchGate. In the study, you can see statistics that cover what the most prevalent goods stolen were, what the primary motivation was, what factors they considered before choosing a target, what deterred them, and so on. As you can see from the list above, there are a great many factors that go into whether or not a burglar is likely to target your home. So, when it comes to determining whether or not you need a home security system, there is no hard and fast rule. For example, if you don’t have tall landscaping or fences, you’ve worked with a local locksmith to ensure all of your locks are installed properly, and you live in a busy neighborhood, you may not need a security system. Conversely, if you live out on the outskirts of town, you can’t see your nearest neighbor, and you’ve got abundant landscaping, a monitored home security system could be the one factor that deters thieves from choosing your home to target. Interestingly, according to the findings of the UNC Charlotte survey, the question of choosing a monitored or unmonitored system did not actually seem to impact a burglar’s decision. Of those polled, a full 83 percent of burglars said they would “try to determine if an alarm was present before attempting a burglary.” And, of that number, 60 percent said they would leave and find a different target if there was indeed a home security system in play. So, if peace of mind is what you seek, getting a home security system installed is a great way to go—especially if you choose a system with easily-visible sensors on doors and windows and/or cameras inside and out. The caveat here is that a monitored system versus an unmonitored one basically comes down to your preference. 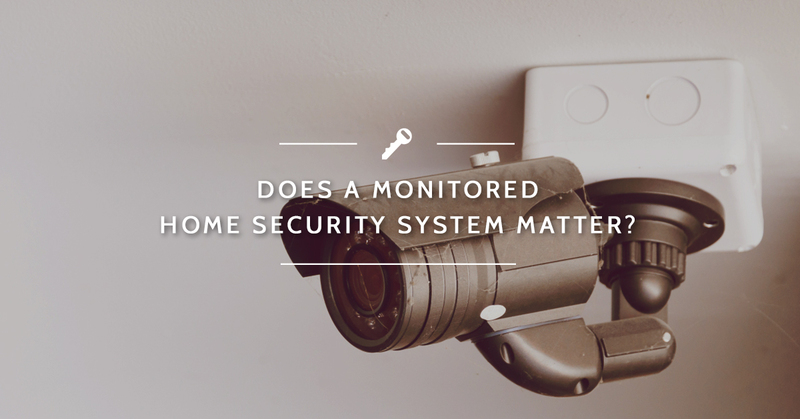 By and large, there isn’t an easy way for a burglar to check to see whether your system is monitored or not, so from a theft-deterrent capacity, it doesn’t have as much of an impact which system you choose. However, from a more general safety standpoint, a monitored system will get the police to your home more quickly in the event of an unauthorized entry. In addition to faster response time from the police, many monitored systems also offer assistance in the event of emergencies so an ambulance or the fire department can reach you more quickly. So, in the sense of home burglary, having a monitored home surveillance system doesn’t matter as much as simply having a system; however, from a peace of mind standpoint, it can have a pretty big impact in mitigating many emergency situations. 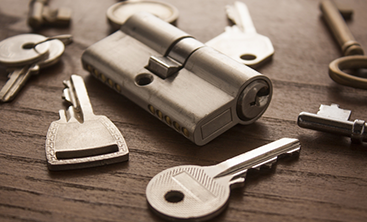 If you want to learn more about home security system options in the Panama City Beach area, call your local home security team at Destin Locksmith to learn more or get started today!